Te Rakau Cabins & Bunkhouse provide a peaceful retreat 35 minutes from Martinborough or Featherston and close to Lake Onoke, Ocean Beach and the Rimutaka Forest Park. We are in a perfect location for the end of Day One of the Rimutaka Cycle Trail. Stay with us and combine your accommodation with a birding tour in one of New Zealand’s premier bird watching environments. The Cabins and the Bunkhouse can be booked together or individually and the tarriff is the same for both – Click here to go to our accommodation booking page at Bookabach. 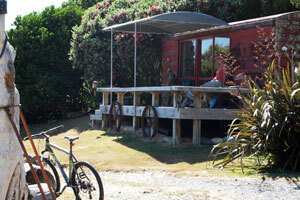 Te Rakau Bunkhouse. Click image to go to page. 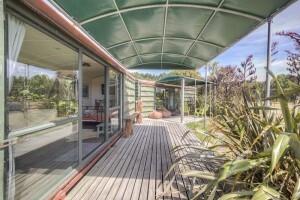 Te Rakau Cabin. Click image to go to page.